6000 tweets are sent every second on Twitter. This adds up to about 500 million tweets every day. That might seem like a lot, but did you know that you could search every single tweet or the profiles attached to them? Twitter has an amazing tool that allows you to do this called Advanced Search. Want to find new customers? Advanced Search does that. Want to measure the satisfaction of your existing customers? Advanced Search does that. Want to Find tweets in your specific area about a certain topic? Advanced Search does that. Want to monitor your mentions? Advanced Search. Need to find your interactions with other Twitter accounts? Advanced Search. Advanced Search is THE tool that can level the playing field for entrepreneurs and small business owners. Below we show you some sweet tips and tricks to help you become a Twitter pro with Twitter Advanced Search. 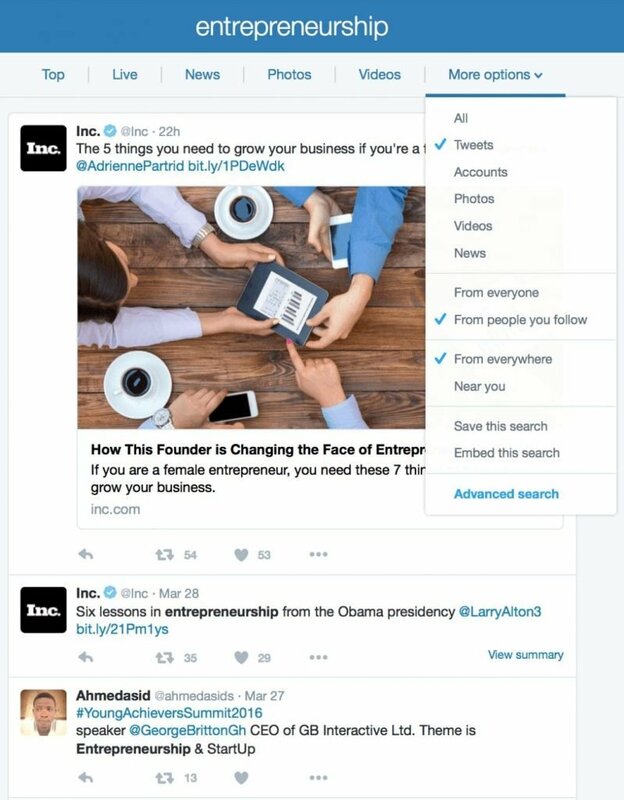 To access Twitter’s Advanced Search, you need to be using Twitter’s Web app. Type in the URL www.twitter.com/search-advanced. You can also get here from the standard search results page, by clicking on the “More Options” menu and selecting Advanced Search. Advanced search is great because it gives you multiple ways to search, segment and filter all the data of tweets and profiles on Twitter. It’s best to search for just one phrase in here. This field is particularly useful if you want to search for names or quotes. This field is great to search for multiple words. For example, if you were searching for all things related to Dumsor, you could use ‘Dumsor’, ‘@Dumsor’ and ‘#Dumsor’. 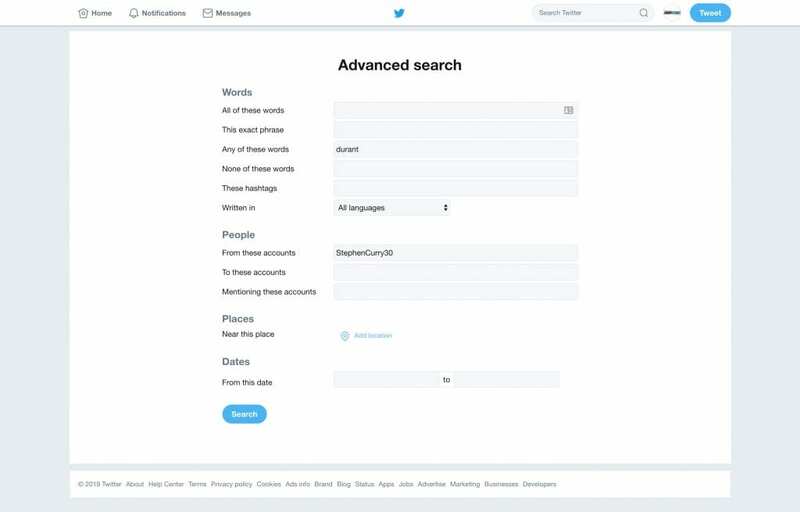 Whatever words you enter in here will remove tweets from your search results that contain the specific word or phrase. For example, if you put “Manchester United”, any tweets that contain “Manchester United” will not show up in the results. This one helps you to check in on hashtags. For example, if there is a chat going on, you can type in #twitterchat to check in on the conversation. 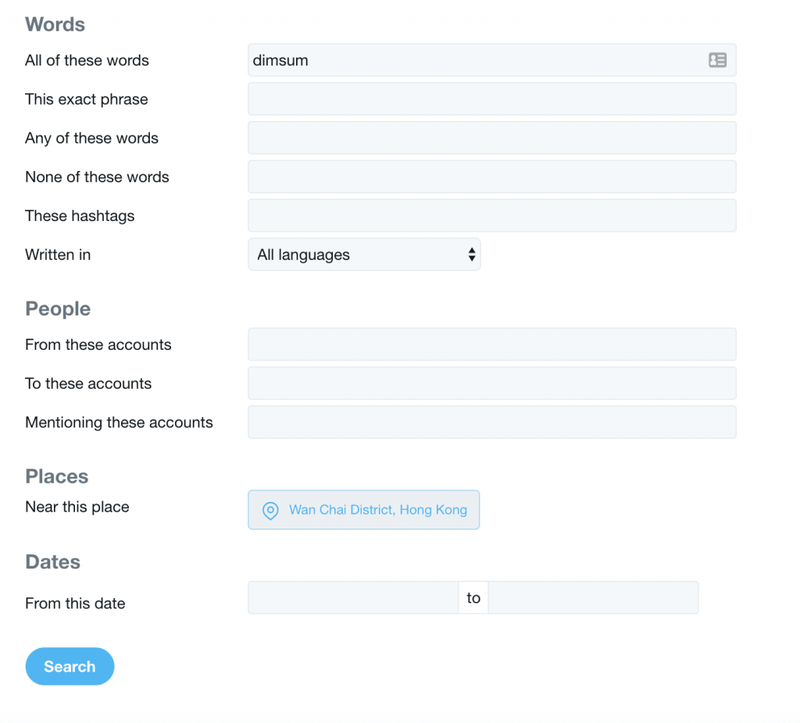 Using this option will allow you to find tweets in any of Twitter’s 50 supported languages. This filter will only show you tweets from accounts you add in this field. Enter the username of one or more accounts and you’ll be able to see tweets that have been sent to them. Pretty similar to the above two filters, enter an account name in this field and you will be able to see any tweets mentioning your chosen usernames. You can see tweets sent from a particular location. Very good tool if you are looking for people interested in your products or service in a certain location. This filter allows you to search for tweets within a certain time frame. 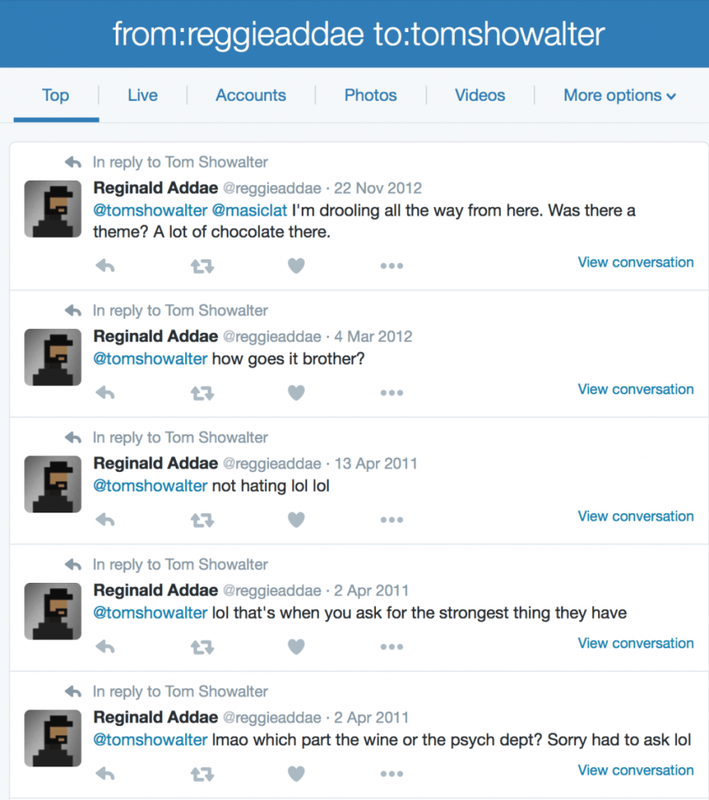 Operator: superhero since:2010–12–27 | Finds tweets: containing “superhero” and sent since date “2010–12–27” (year-month-day). Operator: movie -scary | Finds tweets: containing “movie”, but not “scary,” and with a positive attitude. Operator: flight | Finds tweets: containing “flight” and with a negative attitude. Operator: traffic ? | Finds tweets: containing “traffic” and asking a question. Operator: hilarious filter:links | Finds tweets: containing “hilarious” and linking to URLs. Just remember that Twitter search is a little different from Google Search. When you’re thinking of which keywords and phrases to query, think about how people talk to each other. Tweets tend to be a lot more conversational that Google search terms. Now let’s teach you how to be a Twitter Search Pro. We will show you some marketing tricks, how to monitor your brand’s reputation. How to analyze your competition and get a leg up on them. How to fine tune your search and finally some sales tricks. At the top of the results page, click More options and then click Save this search. Next time you click the search box, a pop-up menu will display your Saved searches. Saved searches can be great to keep an eye on people sharing your content, keywords relevant to your brand and your own mentions. Click anywhere in the search box at the top of the page. Scroll to your Saved searches and click on the saved search to revisit results for that query. Scroll to your Saved searches and click on the X to the right of the search you would like to remove. This search will no longer appear in your saved searches. At the top of your search results, click More options and then select Embed this search. Look up all your interactions with another Twitter account. Need proof that you said the meeting was at 11? Or that you mentioned that you had a new account? Or just trying to catch up with an old acquaintance and can’t remember all of your interactions with them on Twitter. As a way to get proof or refresh your mind, you can use the ‘From these accounts’ and ‘To these accounts’ filters. 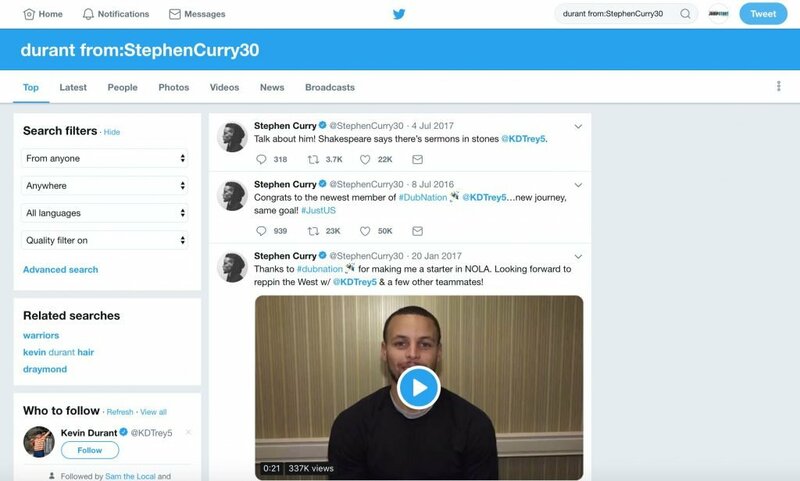 Twitter will display “Top Tweets” for each search term you query, but this pro move allows you to define your own parameters for what a popular post should be. Go to the Twitter search box, type any search term and append the operator min_retweets:[number] or min_faves:[number] to filter your search results. You could use this to Tweets about any brand with a certain number of retweets, say Nike. You would search “Nike min_retweets:30” and that would return all tweets containing the brand “Nike” that had been retweeted 30 times. To take it a step further, you could find your most popular tweets (favorite the most) by doing the same as above but instead of “min_retweets:[number]”, use “min_faves:[number]”. “Nike min_faves:30” will return tweets containing the brand “Nike” that have been favorite by at least 30 users. For example: “from:jumpstarthk min_retweets:30” will return tweets sent from @jumpstarthk Twitter account with more than 30 retweets. Pretty cool huh. Feeling like a pro yet? Struggling to create content or find topics for your blog? Well, we have a solution for you. When researching for topics, use Advanced Search to find out exactly what people are saying about the subject. In the search fields, you can add your chosen topic to the ‘All of these words’ field and then add ‘http’ to ‘This Exact phrase’. Find tweets posted by specific accounts. Sometimes you may want to find what a specific Twitter account has said about a certain keyword. Using Twitter Advanced Search, you can do this easily. Let’s say you wanted to see what Steph Curry thinks about his teammate Kevin Durant. You would search for the keyword and their name. search for a keyword and their name. The more we write this post the more we realize how we are empowering women to catch their men on Twitter. Go feminism? If you want to find the conversations that are happening about your brand in a certain location, Advanced Twitter Search can do that. In the Places section, just select your location from the dropdown, and it will show you all the tweets from that area. This pro trick is even more useful when paired with a couple of keywords. All of a sudden, you can now search for what people are saying about your brand in a specific location. Monitoring your brand is one thing that all brands on Twitter should do, as the information you can learn is extremely invaluable. Using Twitter’s Advanced Search you can not only monitor when people mention your brand name but also when they mention your Twitter handle and even include your URL in their tweets. Pretty amazing right? If you want to filter out any results mentioning anything specific, say another brand or topic or word, you can do so by adding their username and URL in the “None of these words” Advanced Search field. Want to see what has been written about you or if there are any news articles about your brand or a certain query? After you run your Advanced Search, on the search result page, select the dropdown “More options” and under that select “News”. This will give you all results that have a link to a news site. So not only can you determine what people are saying about your brand, but you can also determine whether the comments are positive or negative. This is probably one of the best methods to find feedback and new ideas as well. For example, a frustrated customer’s tweet could lead to you developing a new product or service that adds an additional revenue stream to your business. PERFORM PRO RECON ON YOUR COMPETITION. The same way you can monitor the sentiment of your brand, you can also monitor that of your competitors. This can be great to find guerilla opportunities to steal market share. To check this, add their company name and URL to the ‘All of these words’ bar. 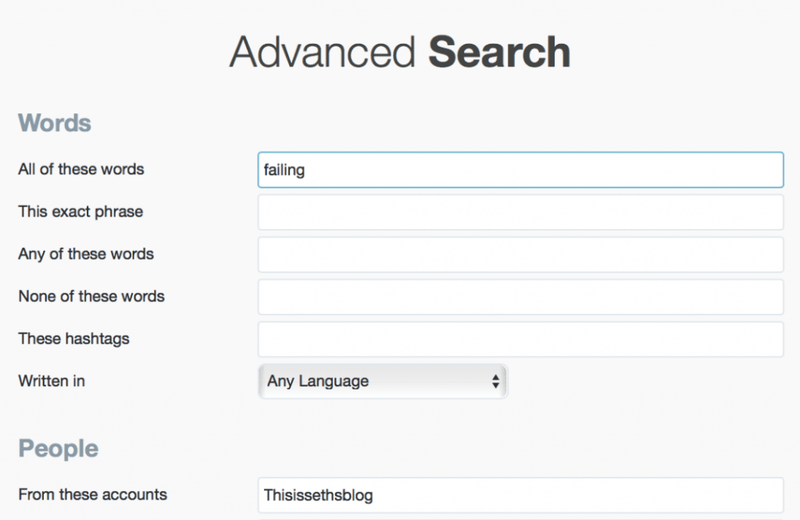 Using Advanced Search for Twitter, you can search for tweets from any Twitter account as well as specify specific keywords. To do this, use the “All of these words” and “From these accounts” fields. As a shortcut, you could search: from:buffer “failing” in the toolbar search. We started this article by stating that there are about 6000 tweets sent every second on Twitter. With that many going out, it can be easy to miss great content from the people you are actually following. video or by reading? 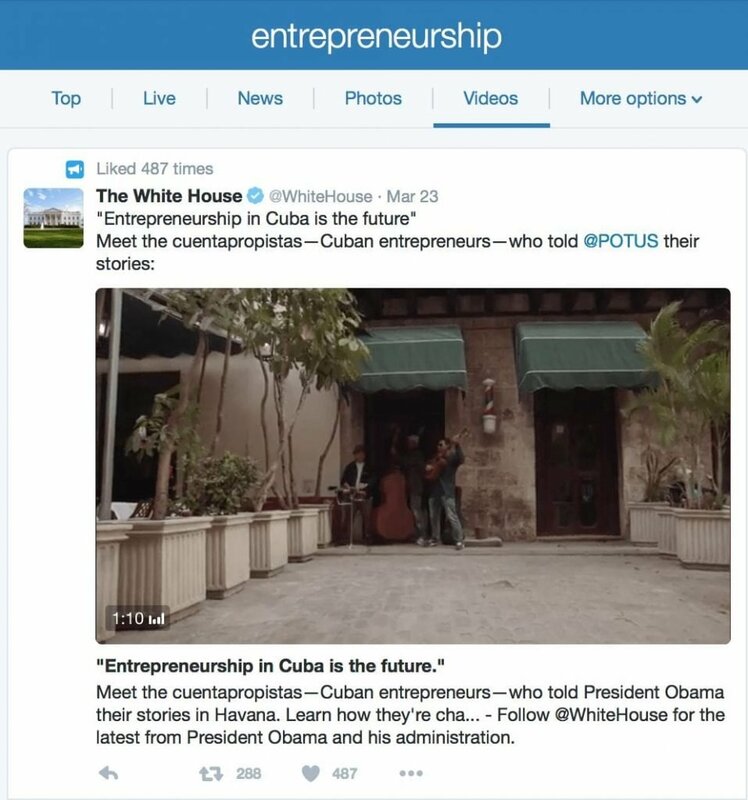 You can use Twitter search to find videos on a specific topic. To filter videos, search for the topic, using Advanced or regular search, and then select Videos to filter the page results. Same as above, except instead of selecting Videos, select Photos on the search results page. If you’re looking to find new people to connect with in your niche, you can run a search on a keyword or phrase and then filter ‘Accounts’ that match those keywords. You can take this further by combining keywords with a location to find accounts or businesses within a certain area. On the Twitter Advanced Search page, if you type in a question mark at the end of your query, you will be shown tweets that are in the form of a question. This is a great way to do your customer support over Twitter. WHAT’S THE POINT OF BEING A PRO IF YOU CAN’T USE IT FOR YOUR OWN GAIN? One thing we all with we could do is to be able to find exciting opportunities online. Try this trick next time you are searching, search for terms like ‘anyone recommend’ or ‘any advice on’ or ‘where to buy’. Phrases like these will return results of people who are looking for help or advice and could be potential clients either on a specific keyword for your business or in a specific location. 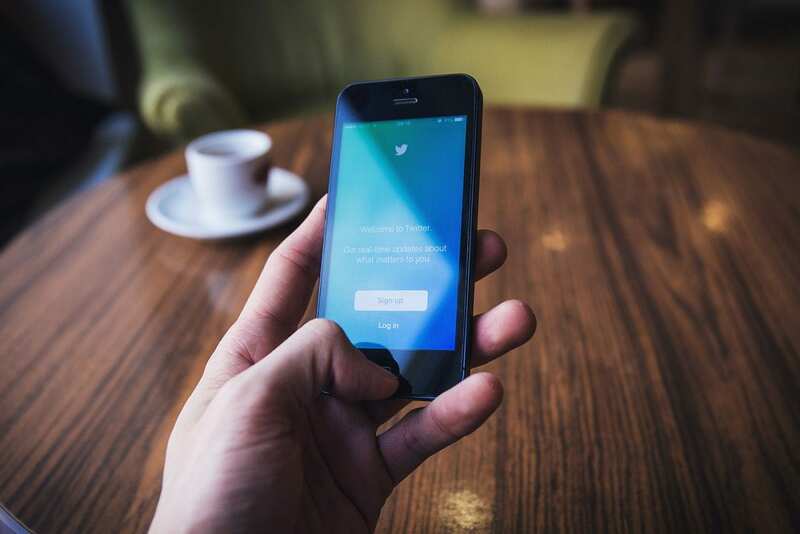 Also keep an eye out for any buying signals shown on Twitter (for example,dissatisfaction with a competitor or showing a need your product can fulfil) and engage to get the sales cycle in motion. If you can spot someone who is looking to make a purchase imminently, jump in and get on their radar. Now go forth and be a pro and make us proud.